Giftedness | Queensland Association for Gifted and Talented Children Inc. Societies see their future in terms of the contributions of their talented members because a nation's prosperity is dependent upon its utilisation of the full range of available human abilities. All socio-cultural groups foster development of a range of valued talents and abilities according to their needs and belief systems. A large body of research and a resulting literature developed late last century around one key concept usually labelled 'giftedness', along with all of the related concepts and topics such as intelligence, talent, potential, thinking, creativity, identification, underachievement, educational programs and support services. The 20th century saw the greatest developments in this field. Early studies demonstrated that the gifted were not socially or emotionally bereft and are often successful throughout their lives (eg: Terman and Hollingworth, 1925 on). Designation of giftedness relied initially on testing for high IQ levels. The broad field that giftedness has become had at its roots a narrow definition and middle to upper class aspirations. In 1978 Renzulli proposed a definition which received worldwide recognition and was used extensively throughout the 1980s. VanTassel-Baska (1998) provided a succinct summary of the general movement towards a more liberal view of the field in her expanding lens for viewing conceptions of giftedness. She explained how the notion of genius has been extended to embrace creativity (Guilford, 1950; Torrance, 1967), talent development (Feldhusen, 1995; Renzulli, 1994; VanTassel-Baska, 1998), componential intelligence (Sternberg, 1986, 1991) and multiple intelligences (Gardner, 1983, 1993). Another expansion of the concept of giftedness is seen in Gagne's (1985, 1995, 2000) theory of giftedness and talent where he proposes a set of aptitudes or gifts which the child develops into talents through interaction with a range of internal and external catalysts. Gifted children are those who excel, or have the potential to excel, in any general or specific ability area. Arguably of greater value are the accompanying Guidelines for Acceleration which provide a defensible framework for accelerating gifted children at school. What are their educational needs in terms of school organisation, curriculum content and pedagogy? Attitudes towards the gifted are coloured by enduring persistence of stereotypes and myths. An enduring body of misinformation about giftedness continues to contribute to negative attitudes, particularly among educational decision makers, which underlines the need for more effective solutions to the issues of raising awareness and disseminating accurate information. Gifted children need recognition, and an appropriate mix of acceleration, ability grouping and individualised educational planning if they are to succeed in school. 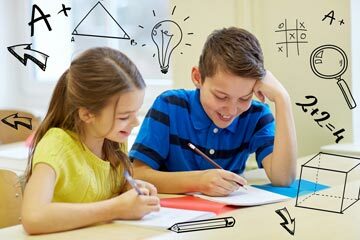 The most recent nation-wide activity in Australia was the Employment, Workplace Relations, Small Business and Education References Committee Inquiry into the Education of Gifted and Talented Children in 2001. All groups providing submissions to the enquiry agreed that there is a problem with the education of gifted children. 'These children have special needs in the education system and many do not have their needs met. Many suffer underachievement, boredom, frustration and psychological distress as a result.' (p.xiii). Currently Australian Government Quality Teacher Program funding provides federal government support as a result of lobbying for implementation of the inquiry's recommendations, although this is now at an end. State funding in Queensland has been cut back. Rogers has been a major champion of gifted education as Linda Silverman points out in the foreword to Rogers' latest publication '…taking on the powerful Zeitgeist of anti-ability grouping and anti-gifted sentiment with solid documentation from a large body of research of the positive effects of ability grouping and special programs for the gifted' (in Rogers, 2002, pp. xxii, xxiii). The 2004 research reports "A Nation Deceived"provide overwhelming evidence for acceleration in the face of schools' continued opposition. The notions of giftedness, intelligence and talent are confused because of over-reliance in the literature on school-related performance and school-based achieving behaviours. To resist the watering down of the gifted area that can be seen in the oft-heard extremist cry of "all children are gifted" (Braggett, 1998; Clark, 1997) we need to refocus on the core issue - the gifted child. The role of parents as teachers and the importance of families in the development of the child's potential are often underestimated. From birth children are in learning mode and development is rapid. Usually around the age of five years parents are faced with the prospect of relinquishing charge of the child for several hours each school day. During the early years they have built up a vast store of information about the child which could provide invaluable assistance to formal institutions taking on the role of educating the child through the compulsory years of schooling. It seems that parents do not feel empowered to take a portfolio of children's products or a profile of the early years to the receiving teacher, neither do teachers ask parents what they know about the child's achievements to date. Children who enter school with high performance in any area (eg reading) may not be recognised and may learn to stop their advanced behaviours because none of the other children exhibit the same high levels of literacy numeracy. Pretesting as a precursor to educational planning is not a regular occurrence. For the benefit of gifted children real partnerships between schools and families need to be developed in an open atmosphere of mutual care and respect. Diezmann and Watters (1997) noted that the mismatch between the curriculum and the need of the gifted child for a challenging education can adversely affect the child's self-concept. Examination of the literature reveals major deficiencies, or unexplored areas, within the fields of giftedness and gifted education with particular reference to studies of gifted children in Australia, and studies where the voices of gifted children are heard. A number of reports suggest that gifted children are not developing to their potential. There are 80 000 gifted students enrolled in Queensland schools today (400 000 across the nation). Most are underachievers because there is no established identification process and no defensible gifted education programming in most schools. Long-term well-informed educational planning and increased government funding would go a long way to ensuring more fulfilling schooling experiences and increasing the life-long productivity of gifted individuals. Braggett, E. J. (1994). Developing programs for gifted students. Melbourne, Vic: Hawker Brownlow Education. Clark, B. (1997). Growing up gifted. 5th Ed. Upper Saddle River, NJ: Prentice-Hall. Department of Education. (1993). Policy statement: The education of gifted students in Queensland schools. Brisbane, Qld: Department of Education. Department of Education. (1993). Resource document: The education of gifted students. Brisbane, Qld: Department of Education. Feldhusen, J. F. (1989). Why the public schools will continue to neglect the gifted. Gifted Child Today, 12(2), 55-59. Feldhusen, J. F. (1995). Talent development during the high school years. Gifted Education International, 10, 60-64. Gagné, F. (1985). Giftedness and talent: Reexamining a reexamination of the definitions. Gifted Child Quarterly, 29, 103-112. Gagné, F. (1995). From giftedness to talent: A developmental model and its impact on the field. Roeper Review, 18(2), 103-111. Gagné, F. (2000). Understanding the complex choreography of talent Development through DMGT-based analysis. In K. A. Heller, F. J. Mönks, R. J. Sternberg, & R. F. Subotnik (Eds. ), International handbook of giftedness and talent, (2nd ed.) (pp. 67-80). Kidlington, Oxford: Elsevier. Gross, M. U. M. (2000). Issues in the cognitive development of exceptionally and profoundly gifted individuals (pp. 179-192). In K. A. Heller, Monks, F. J. & Passow, A. H. (Eds. ), International handbook of research and development of giftedness and talent (2nd ed.). (pp. 179-192). Amsterdam: Elsevier. Hollingworth, L. S. (1942). Children above 180 IQ, Stanford Binet. New York: World Book Company. Renzulli, J. S. (1994). Schools for talent development: A practical plan for total school improvement. Melbourne, Vic: Hawker Brownlow Education. Renzulli, J. S., & Purcell, J. H. (1996). Gifted education: A look around and a look ahead. Roeper Review, 18(3), 173-178. Rogers, K. B. (2002). Re-forming gifted education: Matching the program to the child.Scottsdale, AZ: Great potential press. Senate Employment Workplace Relations Small Business and Education References Committee. (2001). The education of gifted children. Canberra, ACT: Commonwealth government. Senate Select Committee. (1988). Report on the education of gifted and talented children. Canberra, ACT: Australian Government. Sternberg, R. S. (1986). A triarchic theory in intellectual giftedness. In R. S. Sternberg & Davidson R. E. (Eds. ), Conceptions of giftedness. Cambridge: Cambridge University press. Terman, L. M., & Oden, M. H. (1925). Genetic studies of genius: Mental and physical traits of a thousand gifted children, Vol. 1. Stanford, CA: Stanford University Press. Terman, L. M., & Oden, M. H. (1947). Genetic studies of genius: The gifted child grows up, Vol. 4. Stanford, CA: Stanford University Press. Terman, L. M., & Oden, M. H. (1959). Genetic studies of genius: The gifted group at mid-life, Vol. 5. Stanford, CA: Stanford University Press. Torrance, P. (1963). Education and the creative potential. Minneapolis, MN: University of Minnesota Press. VanTassel-Baska, J. (1998). Excellence in educating gifted and talented learners. Denver, CO: Love Publishing Company. Judith Hewton administered state and federal government funding for gifted education in Queensland from 1992 to 2001 (within the department of education). She initiated the intersystemic Zigzag and Unicorn programs and is also a Past President of the Queensland Association for Gifted and Talented Children Inc. and manages conferences and information promulgation in a voluntary capacity. Her main interests are in writing, reviewing, presenting, and teaching performing arts.